It has only been three months into the year 2019 and we have already seen a wide variety of innovation and developments in terms of smartphone design. 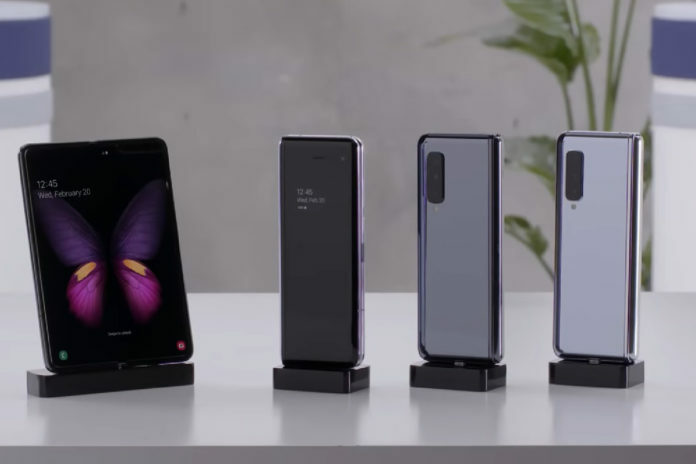 Some of the major smartphones that have been launched include Galaxy Fold, Huawei P30 Pro, Galaxy S10-series, and Nokia 9 PureView. However, not all of these devices have made it to the shores of the Indian market and are expected to come to the shelves in India soon. Not unlike the U.S, Samsung Galaxy Fold is expected to be made available in India by April 26. The Samsung Galaxy Fold comes with a brand new 7.3-inch Infinity Flex display which can be folded to turn the form factor of the device into a compact phone that can easily fit in the pockets. In terms of specifications, the company revealed that the Samsung Fold is powered by a 7nm processor, the name of which was not disclosed. 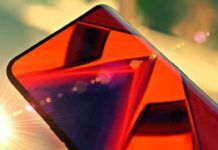 It is likely that Samsung will go with the Qualcomm Snapdragon 855 SoC for its foldable phone. The 7.3-inch Infinity Flex Dynamic AMOLED panel boasts of a resolution of 1536×2152 pixels (4.2:3), whereas the smaller 4.6-inch Super AMOLED panel includes 840×1960 pixels resolution (21:9). The smartphone also features 12GB of RAM and 512GB of onboard storage which is not expandable. Samsung has included two batteries that are placed on the side of the phone combining a total capacity of 4,380mAh. The Samsung Galaxy Fold has been priced at $1,980 (₹1,37,000 roughly). Huawei’s latest flagship smartphone is listed on Amazon under a “coming soon” tag. Both Huawei P30 and Huawei P30 Pro run Android 9.0 Pie with the company’s own EMUI 9.1 on top. Both the smartphones sport bezel-less screen with waterdrop notch. The P30 Pro also comes with an Acoustic Display Technology which turns the smartphone screen into a speaker like LG G8 ThinQ smartphone. The Huawei P30 and P30 Pro are powered by 7nm octa-core Kirin 980 SoC with Mali-G76 GPU. Moreover, the P30 features 6GB of RAM with 128GB of onboard storage, while the P30 Pro comes with 8GB of RAM with up to 512GB of onboard storage. 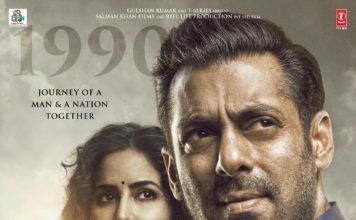 Huawei has put the starting price of the P30 at EUR 799 (₹62,000 roughly), while the Pro variant will retail at a starting price of EUR 999 (₹77,800 roughly) for the 8GB/128GB variant. The 8GB/256GB variant of the P30 Pro is priced at EUR 1099 (₹85,600 roughly). There is also an 8GB/512GB variant priced at EUR 1,249 (₹97,300 roughly). HMD Global has started teasing its penta-camera smartphone, Nokia 9 PureView, for India, suggesting at an imminent release. The phone comes with a 5.99-inch QHD+ POLED display with 18.5:9 aspect ratio and an in-display fingerprint sensor. The device is powered by Qualcomm Snapdragon 845 SoC coupled with 6GB of RAM and 128GB of unexpandable onboard storage. Connectivity options include Wi-Fi 5, Bluetooth 5.0, and NFC. The Nokia PureView is also IP67 certified for water and dust resistance and packs a USB Type-C port. There is no 3.5mm audio jack though. The phone is backed up by 3,320mAh battery with wireless charging support. HMD Global revealed that the Nokia 9 PureView will be priced at $699(₹49,700 roughly). 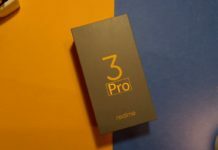 Realme has announced the launch of Realme 3 Pro along with Realme 3 in India in April. The budget-friendly smartphone will feature a waterdrop notch display with Gorilla Glass 5 protection, 2.5D glass body, gradient design, and a plastic frame. It is said to be sporting a 48-megapixel primary sensor 13MP selfie camera, Snapdragon 675 chipset with Adreno 612 GPU, 4,000mAh battery and ColorOS software. OnePlus typically launches its new device in the second quarter of the month with an upgraded T-variant in the Q3. Accordingly, OnePlus 7 is expected to launch in May. It is being speculated that all the models of the OnePlus 7 will feature a gradient back panel color design. Previously, OnePlus has offered new colors to its devices but mostly as special and limited editions. Leaked renders by comparison website Tiger Mobiles show OnePlus 7 in three gradient finishes. There is one in black and mustard yellow color combination and another in black and purple color combination, similar to Thunder Purple on OnePlus 6T. 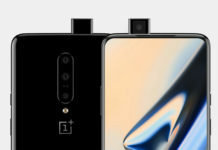 In addition to the new color variants, OnePlus 7 is also expected to come with pop-up selfie camera that will help the device feature an edge-to-edge screen without any obtrusion from a notch or a punch-hole. In terms of specifications, the device will be powered by Qualcomm Snapdragon 855 SoC coupled with 8GB of RAM and 256GB of storage. According to the leaks, the OnePlus 7 is expected to feature a triple camera setup compromising of a 48-megapixel, 20-megapixel, and 5-megapixel sensors. At the front, it could feature a 16-megapixel selfie shooter. On the software front, the smartphone will most likely launch with OxygenOS 9 based on Android 9.0 Pie.